Friday lunchtime saw my colleagues and I enjoying the hospitality of the Black Prince in Woodstock again. It was nice weather and after a somewhat turbulent working week we thought we deserved it…only short reviews this time, I’m afraid. 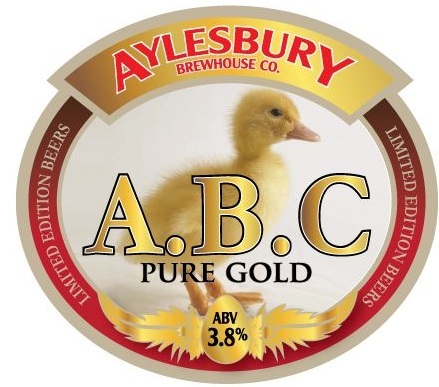 I’ve already reviewed Quark from the Aylesbury Brewhouse Company (https://yeastismybitch.com/2013/06/10/aylesbury-brewhouse-company-quark/) so I’m already familiar with how they roll. This was a wonderfully clear, light coloured beer with a light hoppiness and malt aroma on the nose, refreshing with some hop bitterness in the flavour and a lovely long bitter aftertaste. This tasting has been a long time in coming, so apologies for that. The truth is that I’ve been sampling it from time-to-time, but this past spell of hot weather, and me with no kegerator, means that I’ve been mainly pulling pints of foam. Fortunately a break in the heat has at last allowed to me to get some beer out and some notes down about it. Straight from the cornelius keg we’re still getting a fairly monstrous head, but that will calm down as the weather cools. The head is dense, long lasting and quite sticky. Colour-wise it’s a hazy orangey-coppery, the haziness coming from a small amount of yeast still in suspension and the generous amount of Amarillo dry hopping. The aroma that I get is bold, assertive and pretty much how I want it to be – zesty, grapefruity and really, really fresh. There’s a little bit of minerality there too and a lovely malt ‘n’ alcohol underscore. In the taste I get a truckload of BIG flavour: grapefruit, citrus peel and sweet malt – along with a very satisfying bitterness (about 50IBUs according to my calculations!) 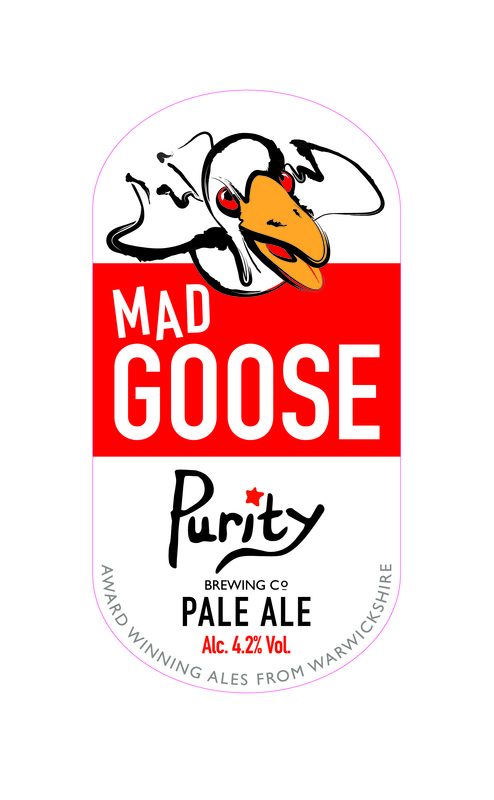 The citrus and bitterness take turns to dominate before they fade to echoes of orangey citrus and malt, muted vegetative hops and a sublime bitter finish on the aftertaste…the mouth-feel is good, quite heavy, but good all the same. I couldn’t be happier with the way that this turned out and I must have at least 15 litres of it left too! I need to plan another brew day soon, as this keg won’t last forever…I will post when I do. The colour is that of polished and laquered copper pipes…twee country pub goers know what I mean by this… The effervesence is pretty much spot on, neither being over or under done. From the aroma there’s piney, floral, citrus orange hops with a heather honey sweetness and strong caramel/molasses undertone from the malt…plus of course massive alcohol – which is 9.2% if you’re interested. Taste-wise the first thing that hits you is the huge bitterness, which then takes you by the hand and leads you to a real mouthful of dark caramel malt and epic bitter orange and pine resin hoppiness, all the while the alcohol is literally rocking you back on your heels. This is one BIG beer. Once you’ve got through all of that and swallowed, you’re left with an intense bitterness that is briefly punctuated by tons of resinous pine needleyness, before the bitterness rides back in to give you a final going over. As I said before this is a BIG beer, and as brutal as they come. It’s not complex and punchy like Punk IPA or Goose Island. It’s just punchy. Massively so. I’ve had this bottle of King’s Shipment in the fridge for a few weeks now, and had almost forgotten about it…but I’m so glad that I did remember it. 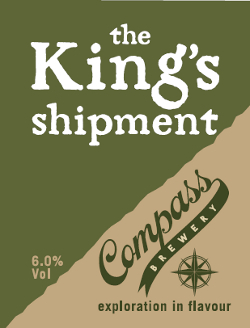 King’s Shipment pours a pretty glassful; bullion gold with a sprightly looking cap of dense foam on the top. The head seemed to disperse and then magically reform again over the course of this beer, which was probably something to do with the heat, humidity and approaching storms of last night. I had to go to the Compass website to find out what was going on. 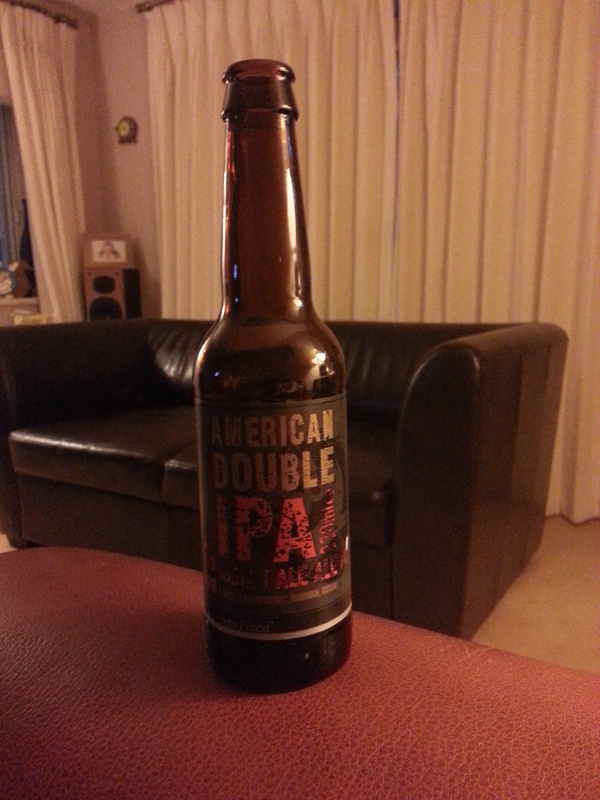 It seems that in order to mimic the character of the old IPAs (i.e. stored in oak barrels) they’ve added oak chips along with the dry hops, which explained a lot…what I’d been tasting was probably Vanillin (the main flavour compound that makes up the taste in vanilla beans), which is produced as some of the Lignin in the oak chips is converted by either toasting or charring; which, as far as I know, is how barrels were prepared in the old days. Now don’t go thinking that this makes the beer taste like custard because it doesn’t, from my point of view it just adds a little subtle background note that seems to tie all of the other beautiful constituent flavours together. Really folks, this is one of the best beers that I’ve had in a very long time. You just have to try it. The more you buy of it, the more Compass will make of it. A true beer of the year. I’m very happy to see that it won a silver award at the SIBA regional last year…whatever won gold must have been exceptional. Oddly enough I got my bottle from the Burford Garden Centre, which is a turn up for the books and one in the eye for the supermarkets – who still haven’t contacted me with offers of free beers to review. Unbelievable. 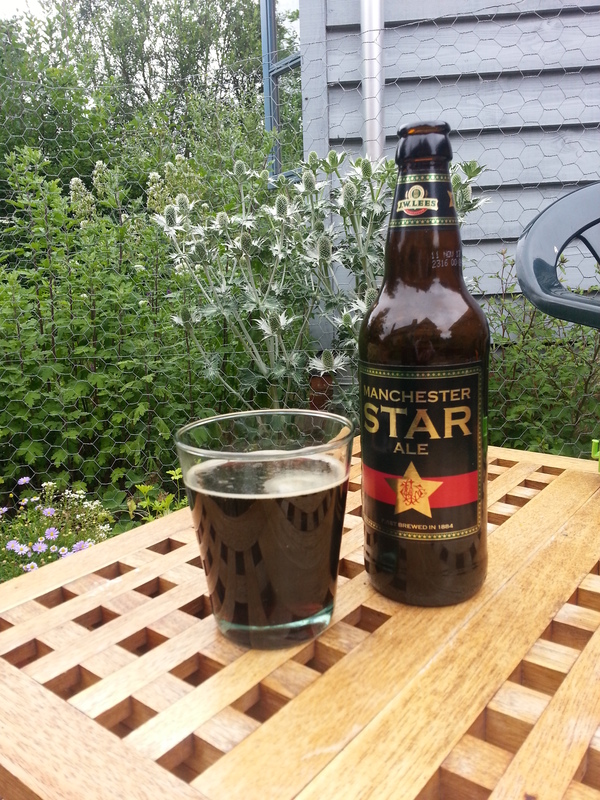 Star ale has quite a dark colour, but it’s a deep garnet dark, rather than impenetrable, stout-dark. The tan head really doesn’t last that long at all and quickly collapses to a very sparse covering. The aroma is incredibly complex and inviting; being almost vinous, with subtle, faintly acetic notes, the dark malts are definitely to the fore, with coffee, dark bitter chocolate featuring heavily in the mix…all partnered by a substantial alcoholic wallop. Taste-wise, we’re talking balanced alcohol, chocolate and biscuit maltiness with a deep caramel sweetness in the background. It’s a really nice balance of flavours. There’s virtually no hop bitterness up front, but the after-taste is good, long-lasting and full of a hop and malt bitterness. 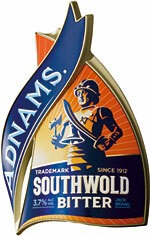 All in all it’s tasty, fulfilling and has a good mouth feel which is helped in part by quite a delicate effervescence. This is another beer that suggests Christmas to me. As I was drinking it I thought how well it’d go with Christmas pudding or even Christmas cake. Maybe it’d make a good dessert beer? Either way it’s a cracking ale. Put it on your “to drink” list. Just like the bottle version but with a slightly more pronounced leading bitterness. Beautifully balanced malt and mouth feel. Excellent after taste. Just perfect. I do honestly rate Southwold Bitter up with Brakspear Bitter as the definitive expressions of the Bitter beer style. Maybe you know different, Dear Reader…if you think there’s something that I’m missing, or should be tasting, drop me a line and I’ll check it out. We had to travel back to my wife’s parents in Suffolk on Friday, it was good to see them…and it was also good to be able to get a pint or two in. When I travel I like to try the local beers, and couldn’t resist this beer which was advertised on the pump as “Deviously Hoppy” so on that basis, I said I’d like one of those please, thanks very much. Enticing hops ‘n’ malt nose. Marvellous polished brass colour, like the colour of those brass ornaments that old folks clutter their houses up with…no? No good for you? OK, imagine it’s the colour of the vicar’s panama hat. A really smashing sticky lacy head on the top that hung about for ages and actually tasted quite good. All in all an excellent summer supper. If you see it you have to try it. Oh yes. And guess who it’s made by? 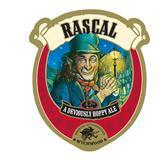 Wychwood. A brewery that’s about ten miles away from me at home in Oxfordshire. Typical. I wouldn’t have missed this pint for the world, but strictly speaking I should have been drinking local!